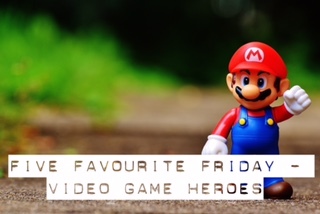 It’s Tim’s turn this week to select the topic and he’s chosen Video Game Heroes. This is quite an interesting one as it’s actually been a while since I last played a game that wasn’t a sandbox game. So here goes nothing – my top 5! 5. King Graham, Kings Quest (2015 video game). Puns. So many puns! 4. Phoenix Wright, Phoenix Wright: Ace Attorney. A strange one I know but I love this game and I absolutely love Phoenix! Oddly enough though, he’s not my overall favourite character from the game, just my favourite good guy. 3. Batman, Arkham Asylum/Arkham City/Arkham Knight. Because he’s Batman. 2. Anya Stroud, Gears of War. Girl Power. 1. Professor Layton, the Professor Layton Series. This is the best game I have ever played and it really saddens me that there is a chance there may not be any more games in this series. There are some games planned that relates to Professor Layton (Lady Layton) but unless the good Professor makes more than just a quick appearance it really won’t match up. Just a couple of honourable mentions in Mario and Sonic. Because obviously they can’t be left out of any video games post! If you want to read my partners top 5, head on over to Broken Thoughts and have a read.